Standing over a fire pit roasting marshmallows for s’mores sounds wonderful. I can’t wait to do it. However, even though my kids are begging me for those tasty roasted treats, I can’t seem to muster up the energy to stand by any open fire with temperatures reaching nearly 110 degrees here in Texas. Staying inside with the air conditioner on high to make S’mores Ice Cream Shakes sounds like a much better option. Trust me; you have to make these. 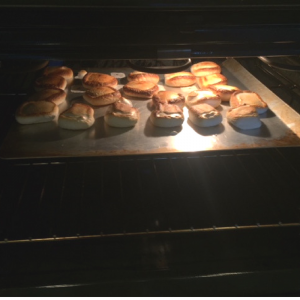 Put marshmallows on a baking sheet and turn the oven on to “hi broil.” Place the baking sheet underneath the broilers to crisp the marshmallows. 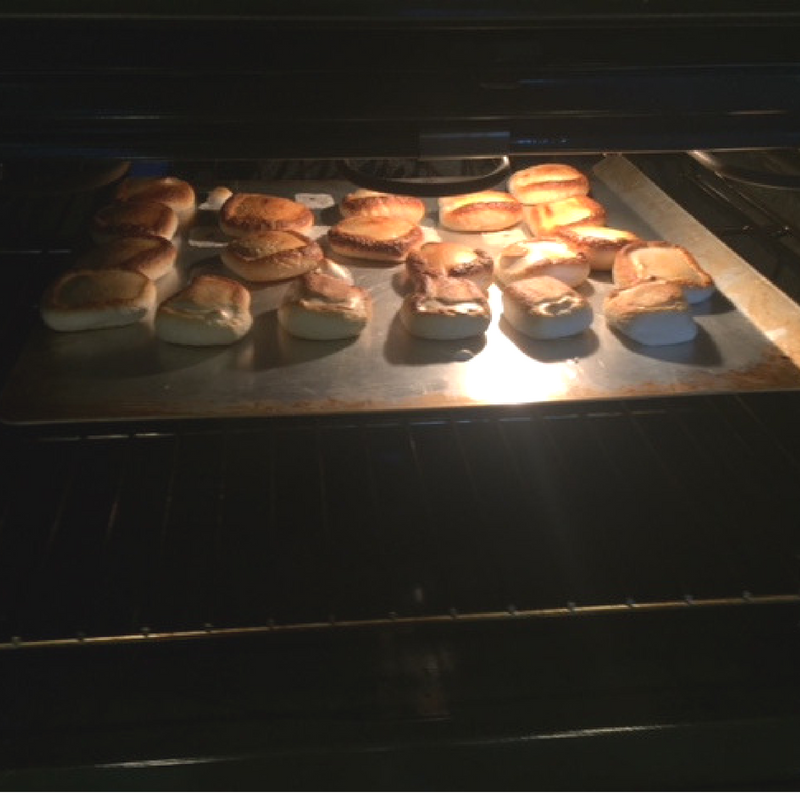 Keep the door propped open so you can watch, and move the baking sheet so the marshmallows crisp evenly. Once the marshmallows are crisped to your liking, turn them over and crisp the other side. Remove from the oven and let cool. 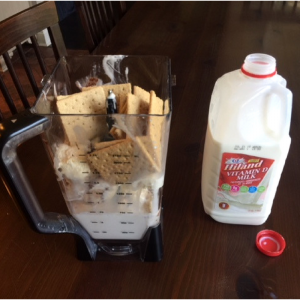 Combine the marshmallows, ice cream, graham crackers and milk in a blender. Blend until creamy and smooth. Let rest for a few minutes to allow the graham crackers to soften. Crush two to three graham crackers in a bag and pour onto a plate. Set aside. Meanwhile, drizzle chocolate sauce down the side and on the rim of each serving glass. 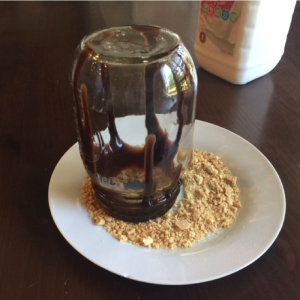 Dip the rim of the glass onto the crushed graham crackers to coat the rim. 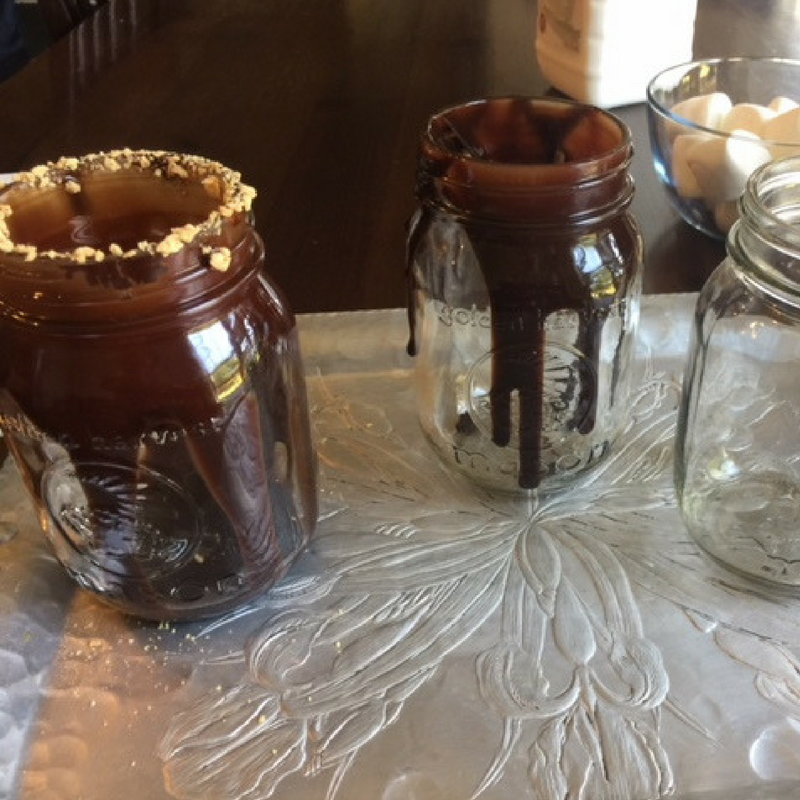 Fill each glass with the ice cream mixture. Garnish with a crisped marshmallow, extra cracker crumbs, and a straw! 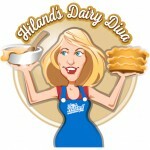 You also may use any variety of Hiland Dairy Vanilla Ice Creams as a substitute. 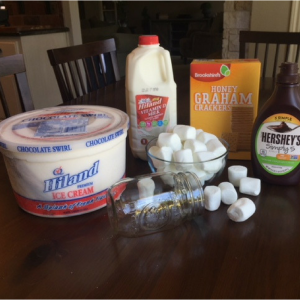 Simply add 1/3 cup of chocolate syrup to the blender.